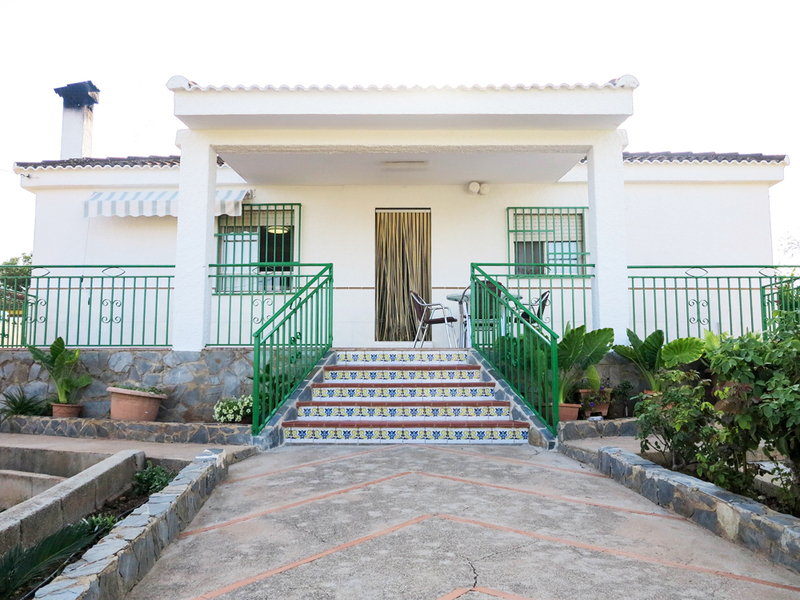 This property is situated just a short distance outside from Monserrat town centre where you will find an abundance of restaurants, bars, and shops and the sports centre with an outside swimming pool. 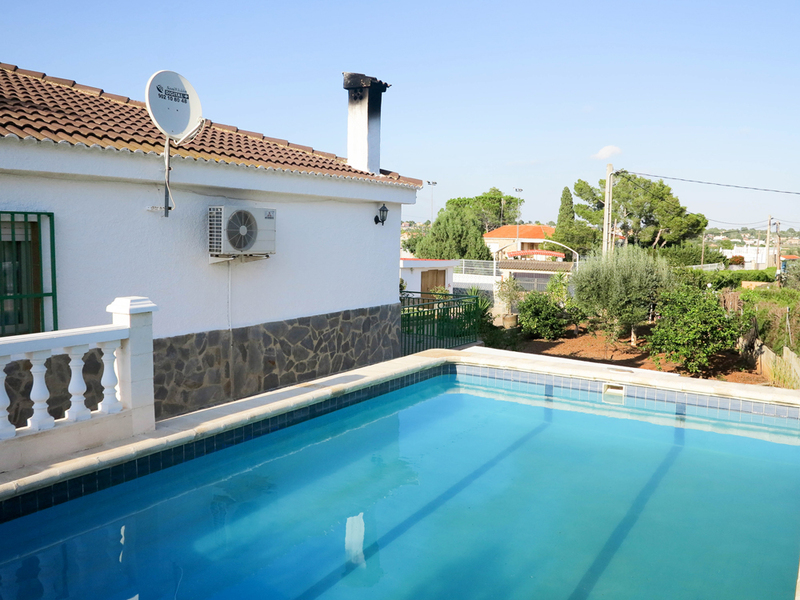 The villa is in a residential area with excellent road access shared with other well presented neighbouring villas, one of Azahar Properties’ traditional homes for sale Valencia. 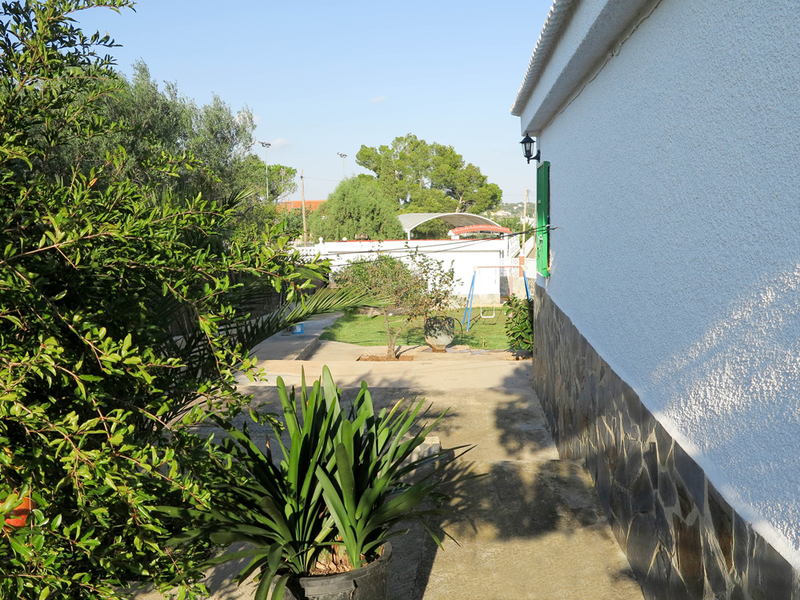 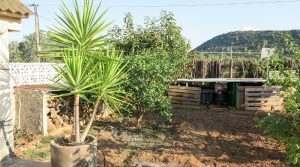 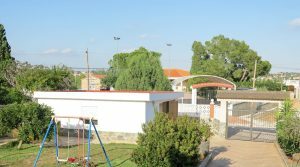 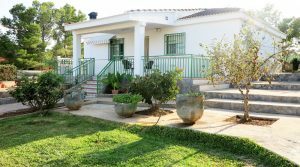 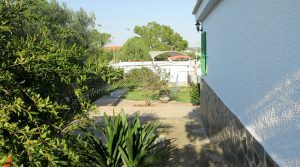 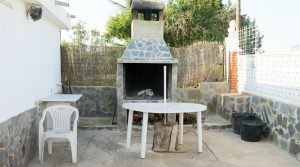 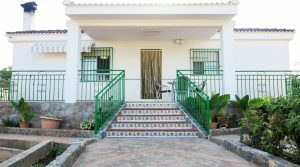 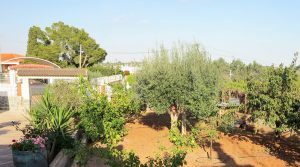 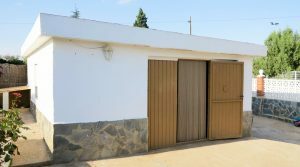 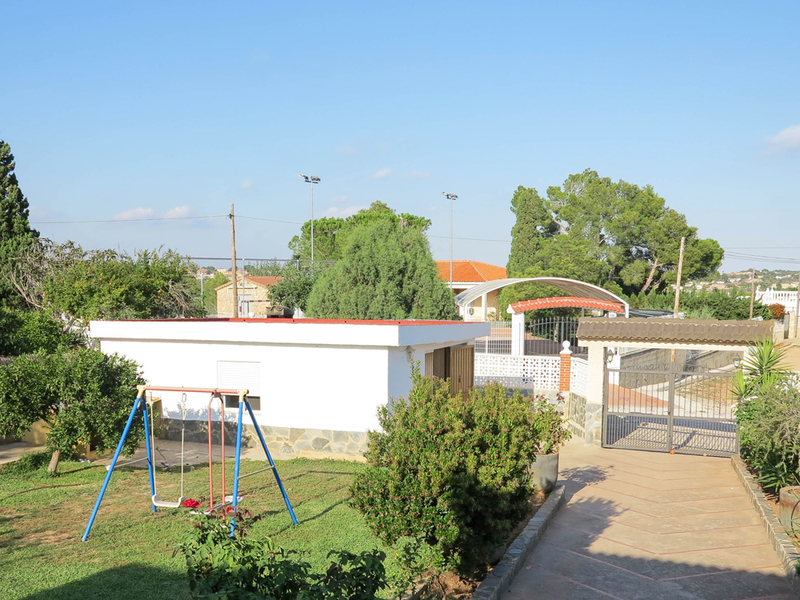 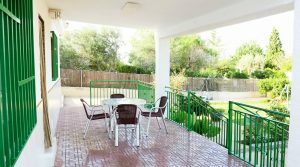 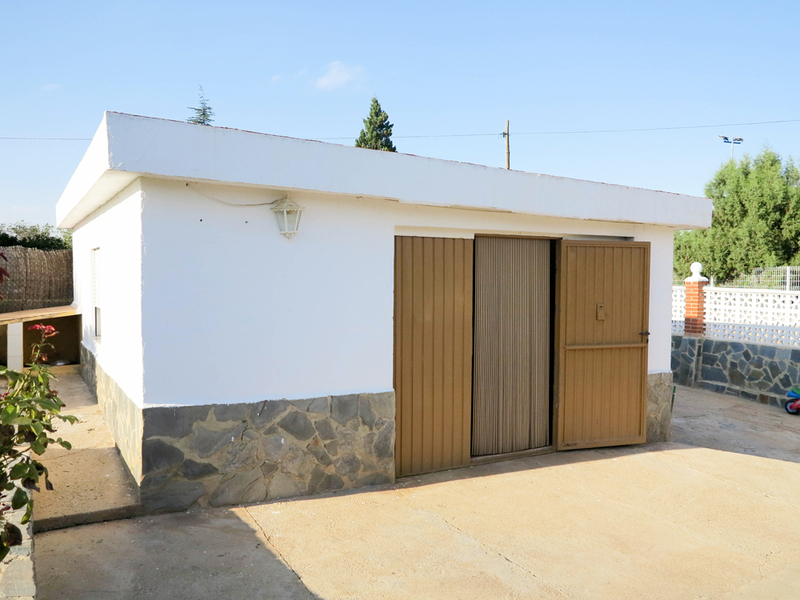 This property is well-maintained, with lovely gardens along with a large paella house and barbecue area, perfect for entertaining friends and family. 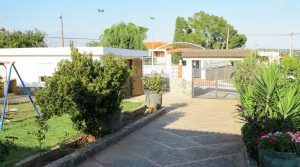 There is a gated entrance leading on to a driveway. 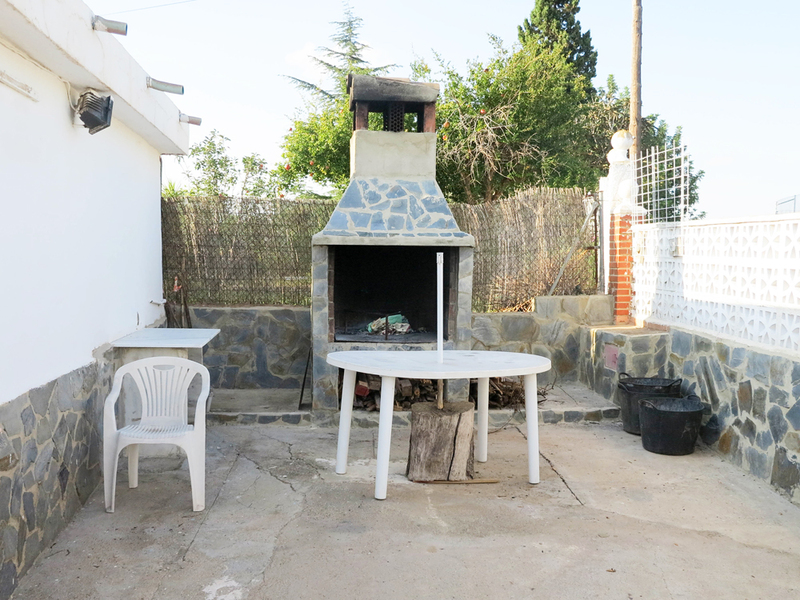 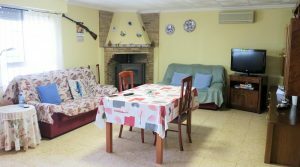 Here to the right-hand side, you have the large paella house complete kitchen facilities, the barbecue is in the area adjacent to it. 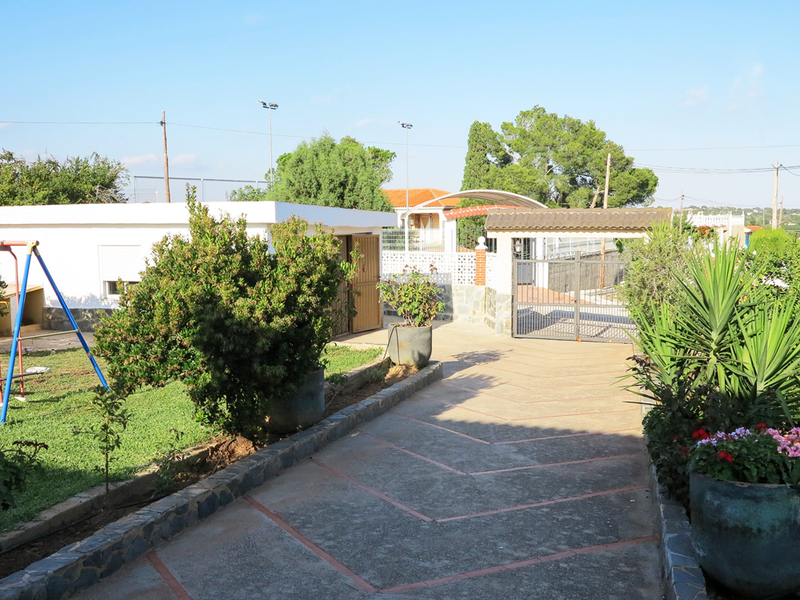 The pathway continues up to the front of the villa. 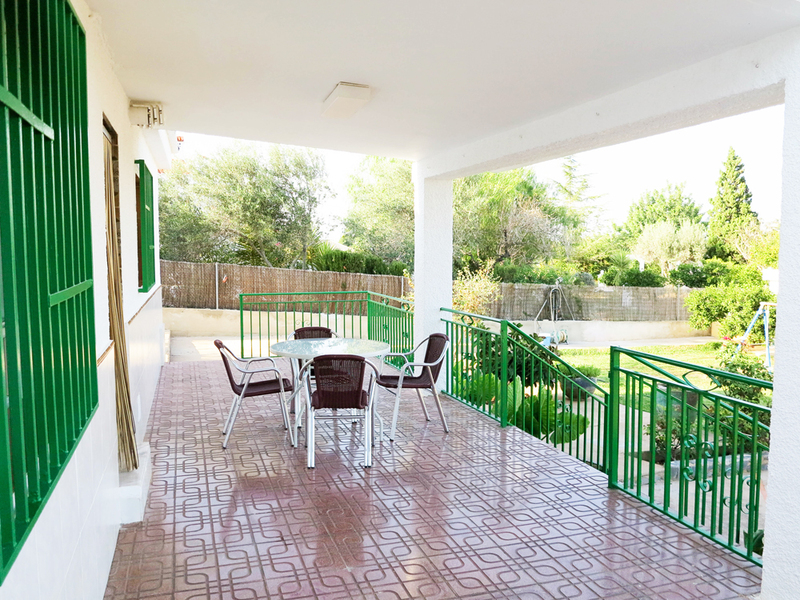 There is a large covered terrace along the front of the property with a retractable canopy also. 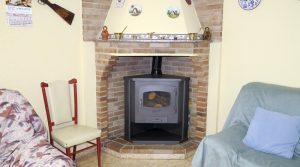 You enter the villa through a uPVC door with a triple lock system, into the large lounge/dining room complete with a log burning fire. 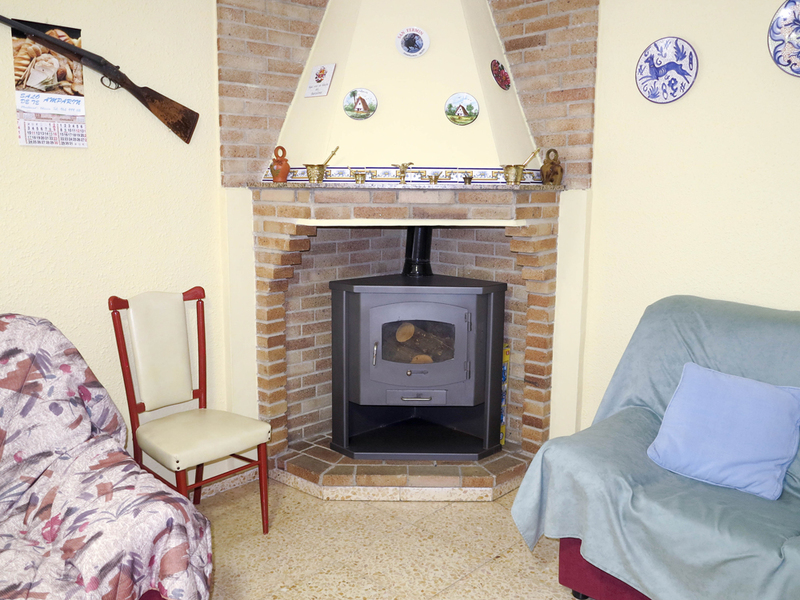 There is also a hot/cold air conditioning unit. 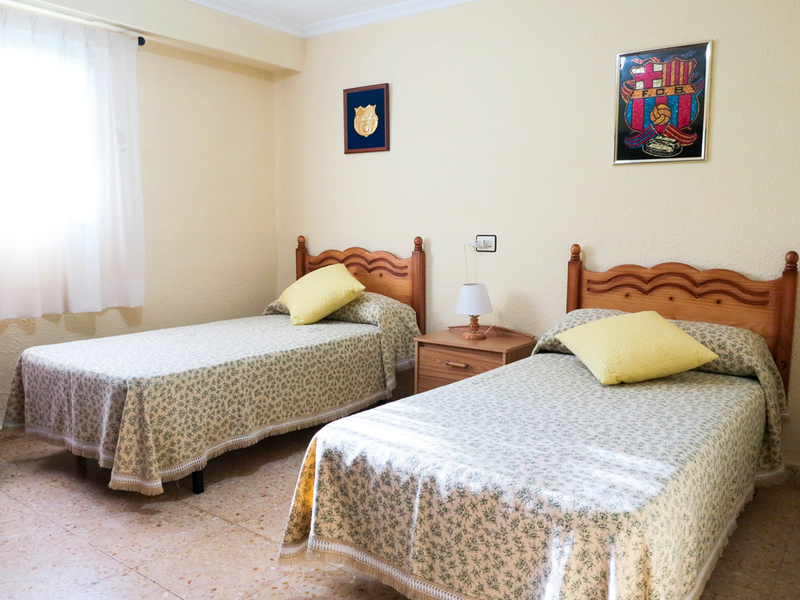 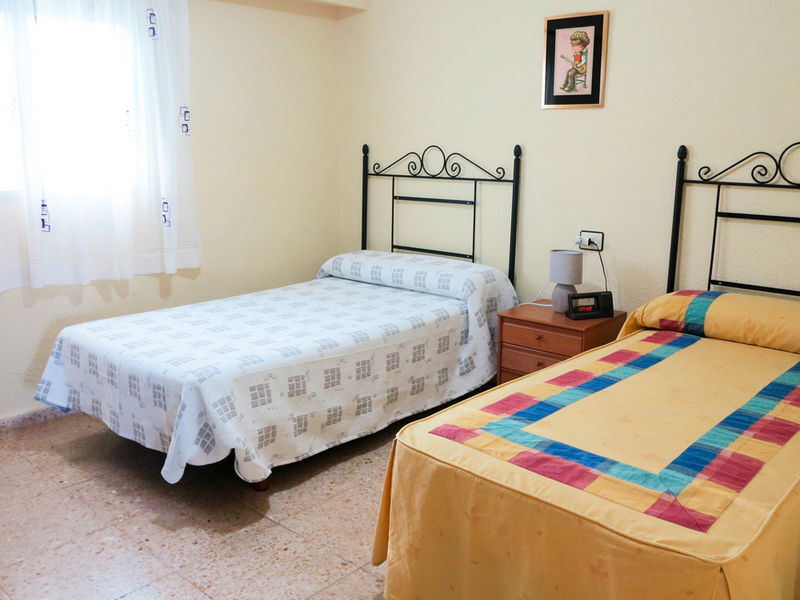 This large room is complimented with quality floor tiles that flow into the hallway and bedrooms. 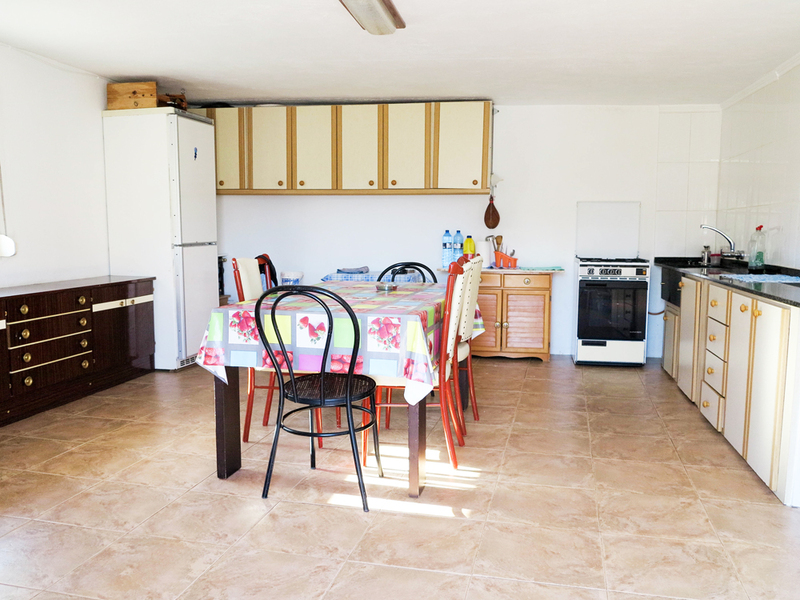 There are three double bedrooms that have large windows allowing in plenty of natural light. 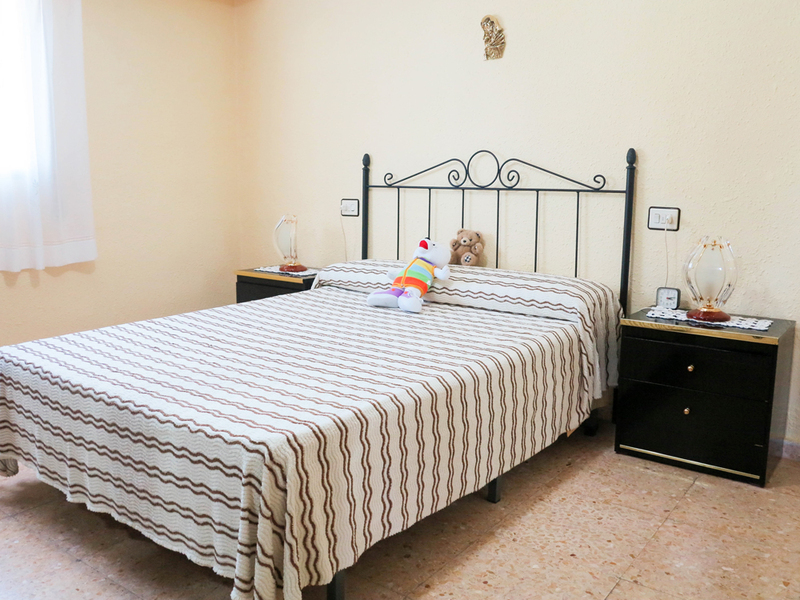 The master bedroom has views of the swimming pool. 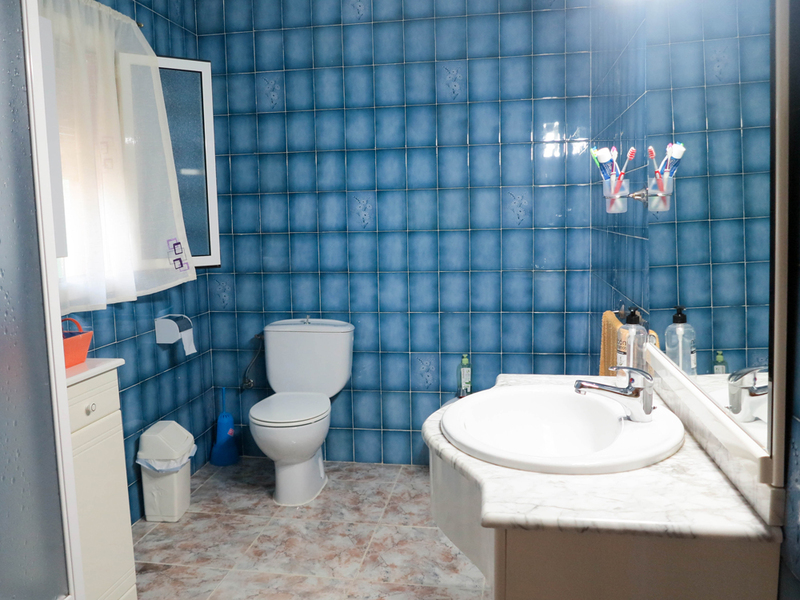 The family bathroom is fully tiled with a shower. 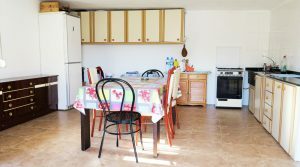 The hallway has a storage cupboard. 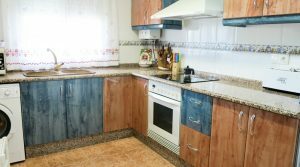 The kitchen is fully fitted with plenty of cupboards and good quality marble worktops also benefiting from a gas water heater and white goods. 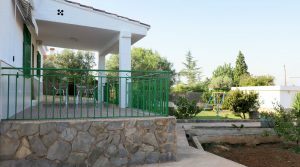 Outside on the side terrace, you have the 6m x 4m swimming pool with the addition of a filter and pump system located beneath the pool terrace along with another storeroom. 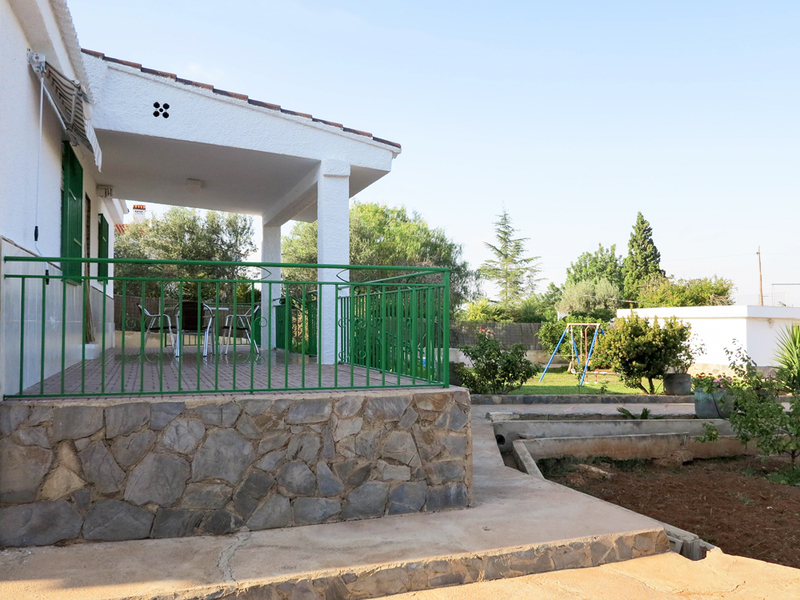 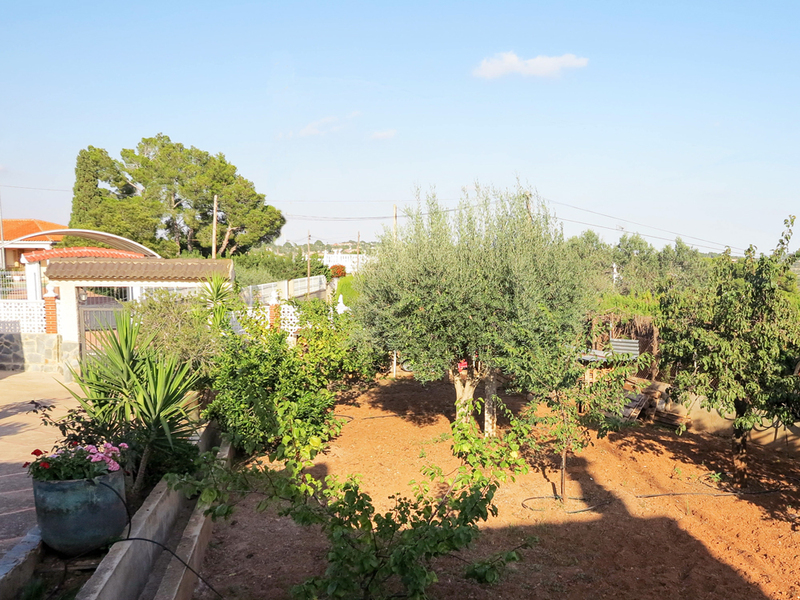 The gardens are very well maintained with a combination of green lawns and fruit trees. 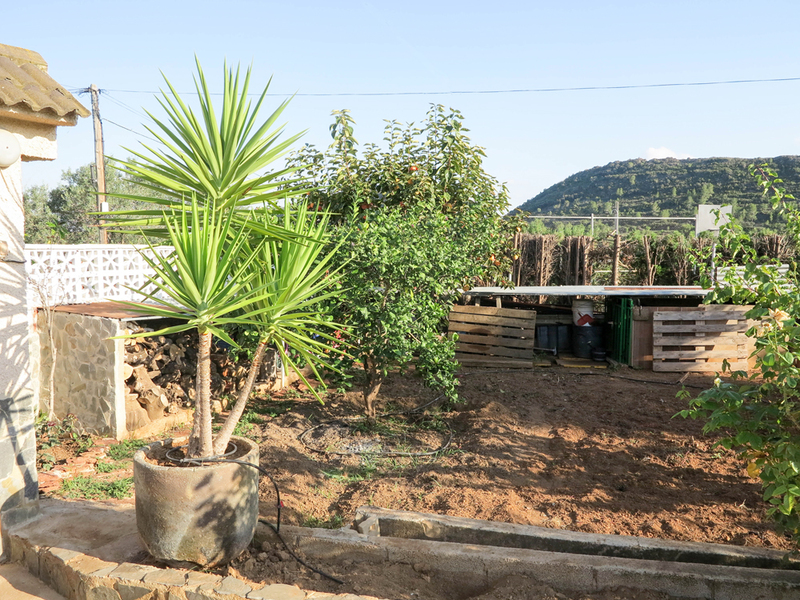 The walls around the garden and borders are covered with stone cladding, there is a water irrigation system installed. 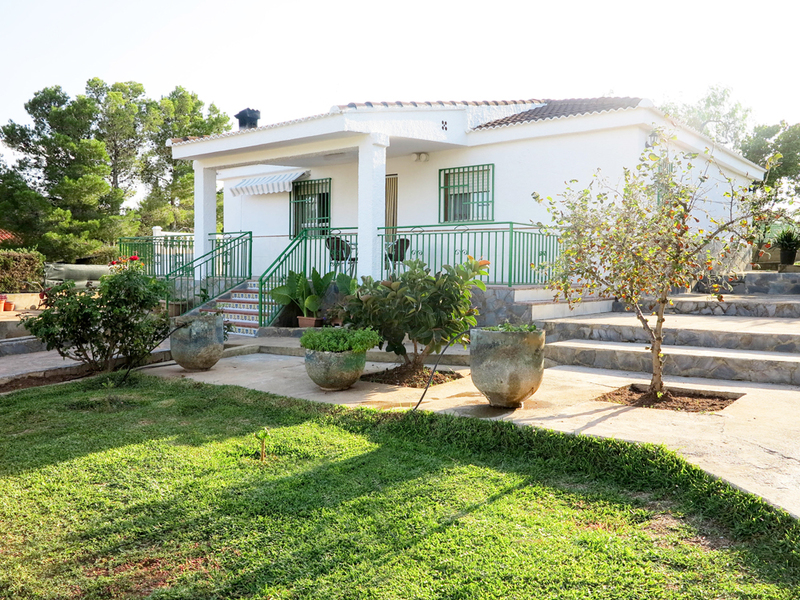 It is possible to have the internet and or fixed line telephone connected if required. 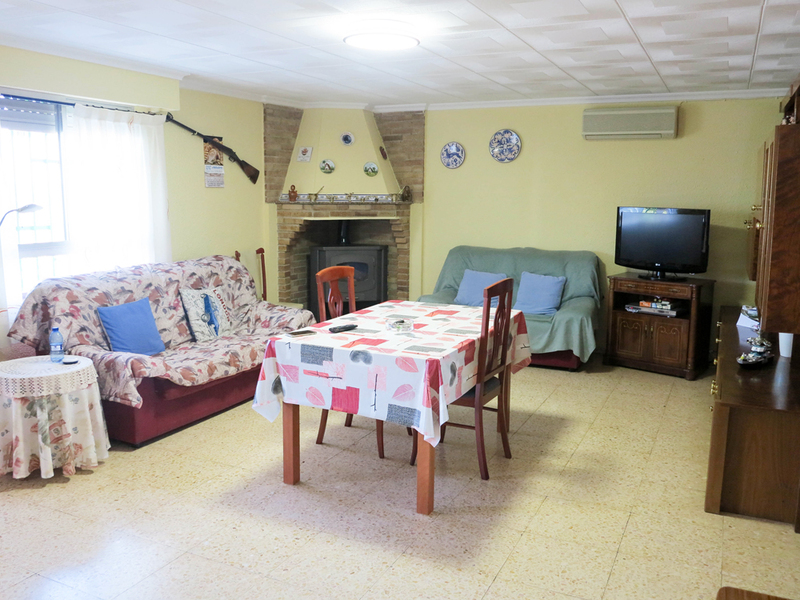 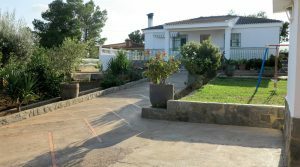 This villa is located within a desirable urbanisation. 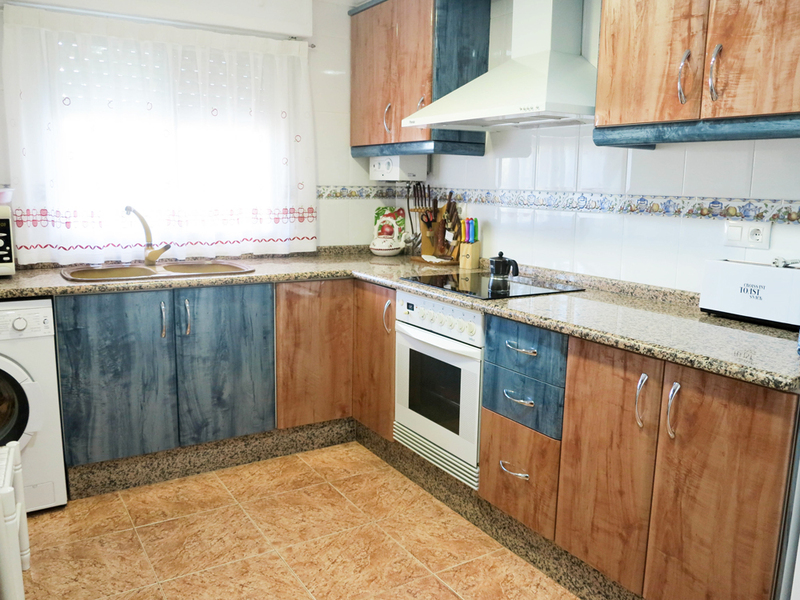 This property is being sold partly furnished including all white goods. 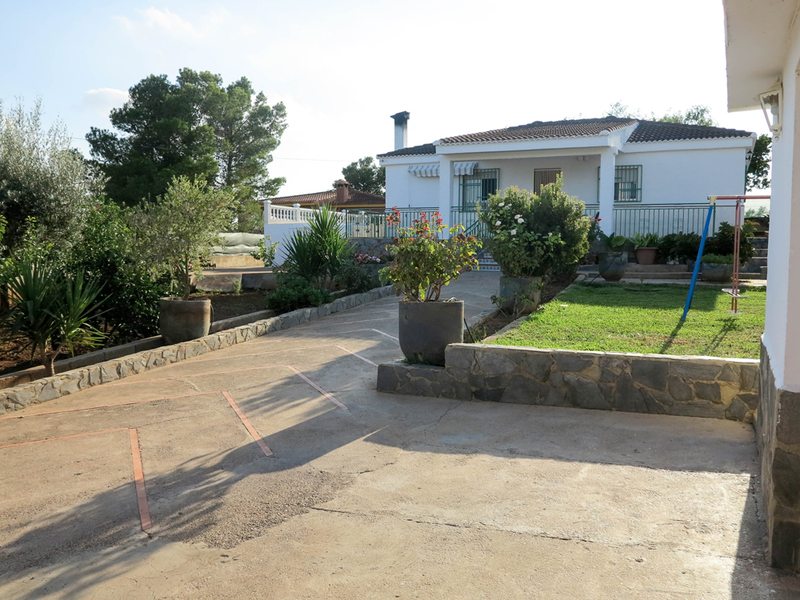 Recently reduced by 20.000 Euros.